The majority of American babies appear healthy at birth. They are growing, gaining weight and hitting their developmental milestones, which lead us to believe they’ll grow into healthy kids. So why do so many babies who appear healthy on the outside end up with metabolic and autoimmune issues later in life? When we look at the high rates of eczema, allergies, diabetes and obesity in kids, especially compared to our grandparents’ generation, research confirms a specific type of good gut bacteria called B. infantis has gone missing in many babies, causing an imbalance in the gut that can’t always be seen from the outside. The presence of B. infantis, the good bacteria our babies need, reduces the potentially harmful bacteria linked to conditions like eczema, allergies, diabetes and obesity. It’s disappeared over generations and babies in the U.S. no longer receive B. infantis at birth due to the unintended consequences of modern medical practices like C-sections and antibiotics. When bad bacteria are pushed out and good bacteria thrive, baby is more likely to develop a healthier metabolism and a stronger immune system. That’s why helping your baby build a strong foundation for gut health now will help protect and keep her safe from potential metabolic and autoimmune issues down the road. We all want the best for our children, and we do everything possible to make that happen. However, we can’t help what we don’t know about, like what is happening inside those little bellies. That’s why I love using Evivo probiotics with my baby! Our bodies have a mix of tiny microorganisms (bacteria, viruses and yeast) which makes up our microbiome. This microbiome contains healthy bacteria which helps to push out any of the harmful bacteria, therefore strengthening our immune systems and aiding in a healthy gut. More and more studies are showing that a healthy gut has been linked to fewer cases of allergies, eczema, obesity and diabetes. But how do we acquire a healthy gut? 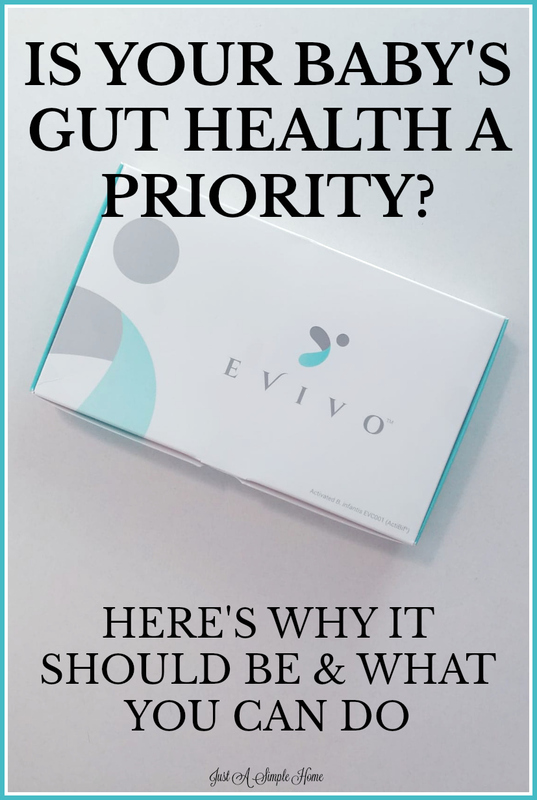 Envivo probiotics is the only probiotic that’s clinically proven to restore baby’s gut and repopulate it with the good bacteria that are missing. 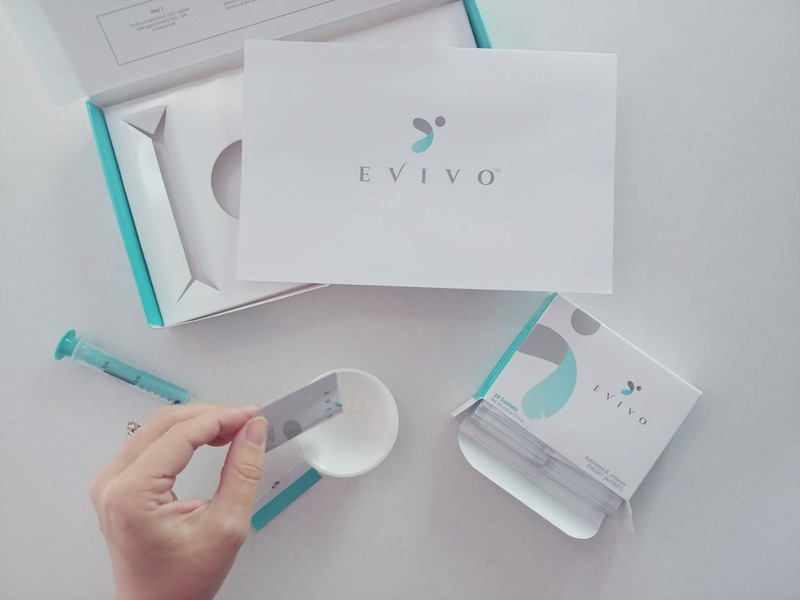 Evivo captures all the special nutrients from breast milk that are otherwise wasted and converts them into added nutrients for baby. 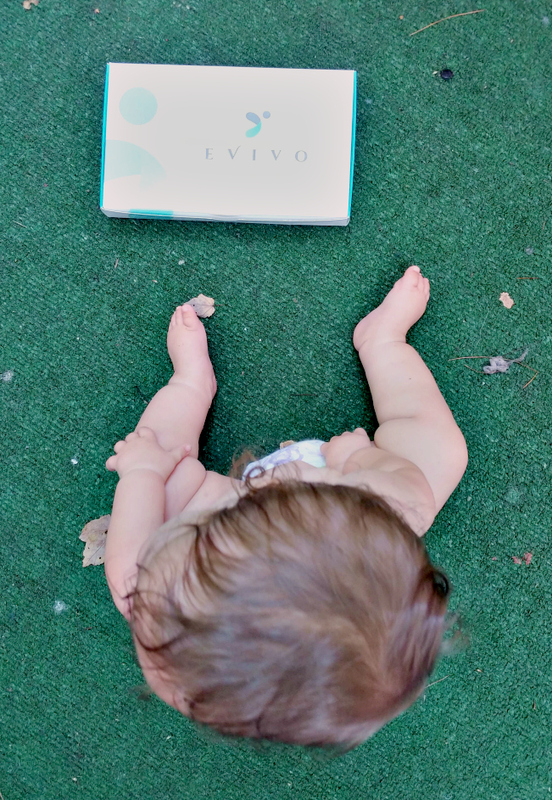 In a clinical trial, babies consuming Evivo and breast milk had their gut fully repopulated with the good bacteria they need 100% of the time. The good bacteria in Evivo, B. infantis, takes advantage of the unique relationship between a baby’s gut and breast milk. The breast milk nutrients, Human Milk Oligosaccharides (HMOs), feed B. infantis, and the B. infantis helps transforms the HMOs so they can serve as valuable nutrition for your baby. Pretty amazing! If only I had known about this with my other babies! Envivo probiotics are easy to use. Once daily, just mix the contents of one packet with some breastmilk and feed to your baby in the syringe provided. If you know me at all, you know I am a huge advocate of doing your research and taking your health into your own hands – including that of your children! LEARN MORE ABOUT ENVIVO PROBIOTICS HERE. 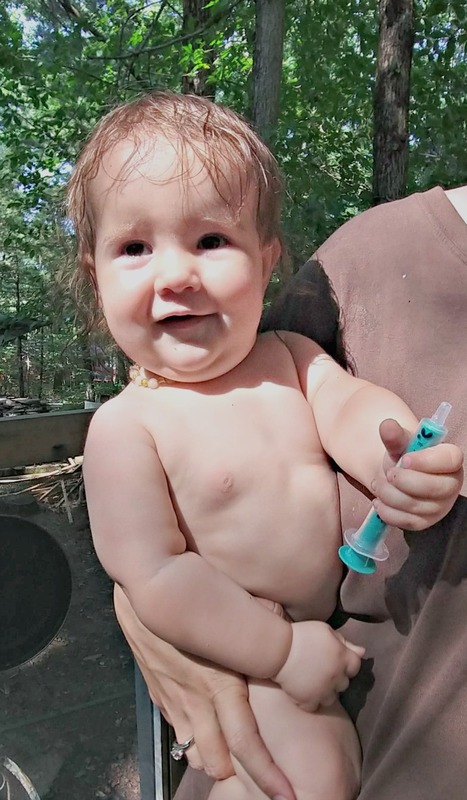 Thank you so much for sharing about this, we think about gut health as adults but I never would have thought about how important my baby’s gut health is too! This is a great thing to raise awareness about! Oh wow! I have not heard of this probiotic supplement yet, but it sounds promising! Thanks for sharing – I’m always looking for GI solutions, because it seems to be such a big issue with kids these days! never heard of this, and i’d probably consult the toddlers doctor first, but it sounds wonderful!